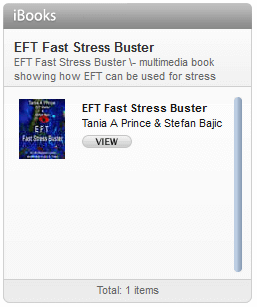 EFT is a powerful tool for working with physical problems. Chase the Pain is a specific approach within EFT, one that is really easy to use, but not only that it gets great results. 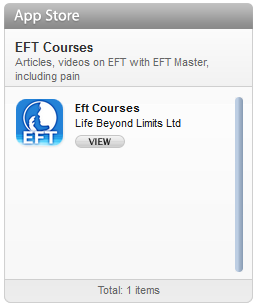 Jim attended an EFT Training that I was running in Manchester, England. He kindly volunteered for me to work with him. Jim had damaged his shoulder. If Jim put his arm by his side, he could only lift it at thirty degree angles until he encountered intense pain. Jim’s problem had been there for two years. Jim’s doctors had advised him to have an operation. This however was put on hold due to another medical problem that he had making it potentially dangerous for him to be put under an anesthetic. It was during this period that Jim attended my EFT Training course and volunteered for me to demonstrate the “Chase the Pain” approach. The results were almost instantaneous. Within one round of EFT, Jim was able to move his arm upward to a 45 degree angle, much to his own astonishment and to those in the audience who started to whip out their cameras! Within minutes Jim’s arm was easily reaching a vertical position. Taking a step further, we decided to now make sure full mobility and range of movement was back in the arm. Jim now put his arm behind him and reached toward his shoulders, using the range of the undamaged shoulder as a guide as it moved freely. The demonstration was terminated when both arms were able to reach right up the back without pain and any limitation of movement. In total it took about 15 minutes from start to finish. The actual number of EFT tapping rounds was about 6 or 7. At the 5 month follow up, Jim’s mobility range had remained at the point we finished the session. He had occasion twinges (about once every two weeks), which perhaps indicate there is something else remaining to be cleared. There are several stages to it. The best way to do this is to ask, how do you know you have this problem? What you are looking for is a description of the quality of the pain/ problem, such as, “a sharp pain under my left shoulder blade”. The more precise you are in your description, generally the better the results, although it is not unknown to people to be relatively global and still for it to work! 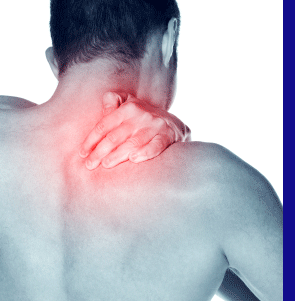 A more global description of the above problem would be to say, “This shoulder pain”. Pains and sensations can have many qualities, such as they can feel, cold or hot, tight, stretched, stabbing, throbbing etc. It is best practice to use the words supplied by the client or if you are working on yourself, to use the words that are natural for you. Avoid trying to use unfamiliar words for example some people try to put it into “medical speak”, it is not necessary and does not help you achieve results. At this point you need to identify what the person needs to do to have this problem. For example, they may have no pain if their arm is still and down by their side. The pain may only occur if they move their arm to a specific position. It is very useful to ask the person to move until they feel the onset of the problem, making sure you advise them to take care of themselves and only take it to the point of it starting. Avoid plunging the person into pain. Some people are very keen. They may push their body too hard resulting in further injury. To avoid this possibility instruct the client to “only move to the point of it being a problem for them”. Using the descriptive terms that describe the quality of the problem you now tap a round of EFT. Often the sensation or quality of the problem will change. For example a “sharp pain under the left shoulder” may become a “throbbing ache under the left shoulder”. 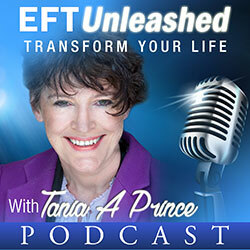 Using the new words supplied by the client (or yourself if you are doing self therapy) do another round of EFT. Sometimes it is easy to know that you have the result, for example if a pain that is there constantly is no longer there it shows something dramatic is different. However if the pain is one that can come and go, it is worthwhile now to point out that something is different and for the client now to get feedback in the external world. Chase the Pain, is a very beautiful approach that can often get dramatic results.